11 Oct 2018 --- Dietary changes are needed to slow the impact of climate change, warns new analysis that says meat consumption should be dramatically reduced in favor of plant-based diets. Considerable differences in farming are needed to avoid the dangers of a warming planet and the challenges of feeding a growing population in a world with more drought, floods, and extreme heat. The in-depth analysis involving the University of Oxford and the Potsdam Institute for Climate Impact Research in Germany (among other researchers) assessed the food systems’ environmental impact, a significant driver of climate change. The study closely follows the latest report from the world's leading body of climate change experts, Intergovernmental Panel on Climate Change (IPCC), which issued its stark warnings earlier this week. Limiting global warming to 1.5°C compared to 2°C could go hand in hand with ensuring a more sustainable and equitable society, says the IPCC report, but this would require rapid, far-reaching and unprecedented changes in all aspects of society. 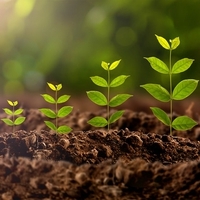 The IPCC study says that a rise of more than 1.5°C is risking the plant’s livability and this could be exceeded by 2030 unless drastic steps are taken now. You can read more on this here. on five environmental domains divided by food group. This latest study, published in the journal Nature, finds that a global shift towards healthy and more plant-based diets, halving food loss and waste and improving farming practices and technologies are required to feed 10 billion people sustainably by 2050. It’s the first to quantify how food production and consumption affects the planetary boundaries that describe a safe operating space for humanity beyond which Earth’s vital systems could become unstable. The study combined detailed environmental accounts with a model of the global food system that tracks the production and consumption of food across the world. With this model, the researchers analyzed several options that could keep the food system within environmental limits. “Many of the solutions we analyzed are being implemented in some parts of the world, but it will need strong global coordination and rapid upscale to make their effects felt,” says Springmann. 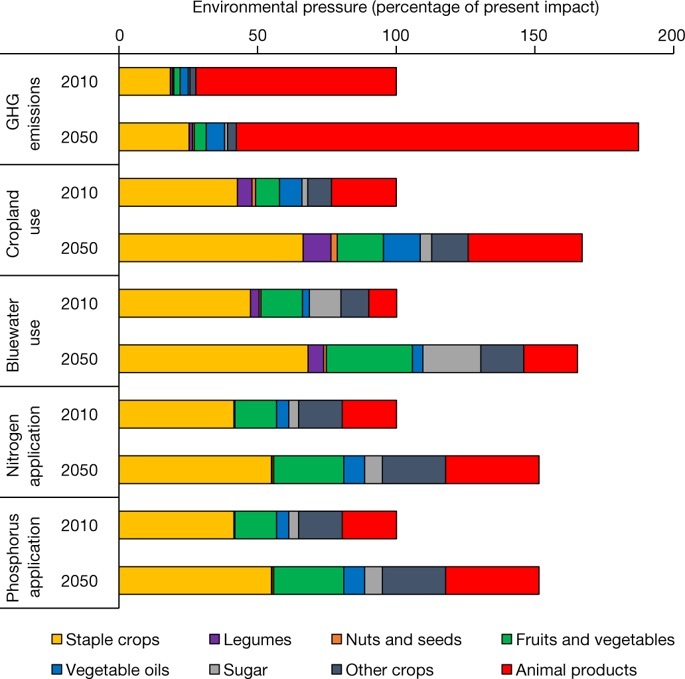 dietary changes on global environmental pressures in 2050. “Improving farming technologies and management practices will require increasing investment in research and public infrastructure, the right incentive schemes for farmers, including support mechanisms to adopt best available practices, and better regulation, for example of fertilizer use and water quality,” adds Line Gordon, Executive Director of the Stockholm Resilience Centre and an author on the report. “When it comes to diets, comprehensive policy and business approaches are essential to make dietary changes towards healthy and more plant-based diets possible and attractive for a large number of people. Important aspects include school and workplace programs, economic incentives and labeling, and aligning national dietary guidelines with the current scientific evidence on healthy eating and the environmental impacts of our diet,” adds Springmann. EAT funded the study as part of the EAT-Lancet Commission for Food, Planet and Health and by Wellcome’s “Our Planet, Our Health” partnership on Livestock, Environment and People (LEAP).